A ski resort shuts down. A town begins to fade. 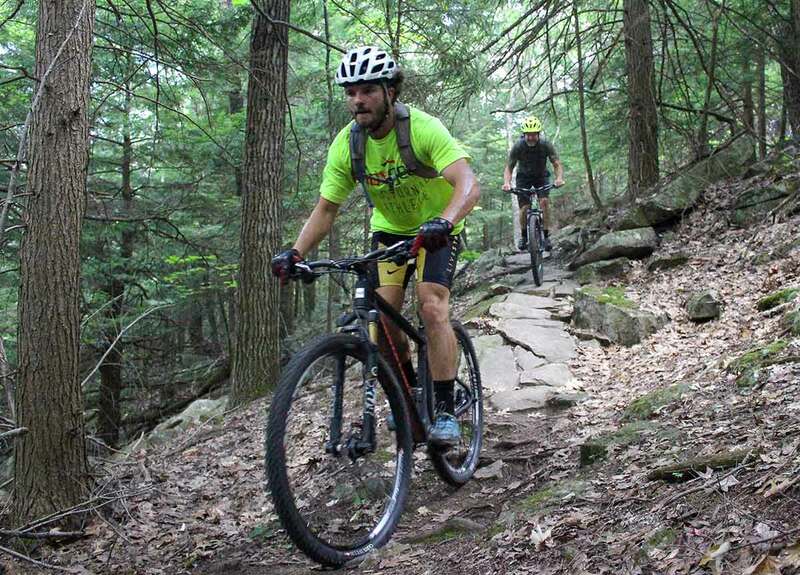 But resurgence is seen when a dedicated group of bikers moves in to build trails and encourage riders to try a new experience in the Northeast. 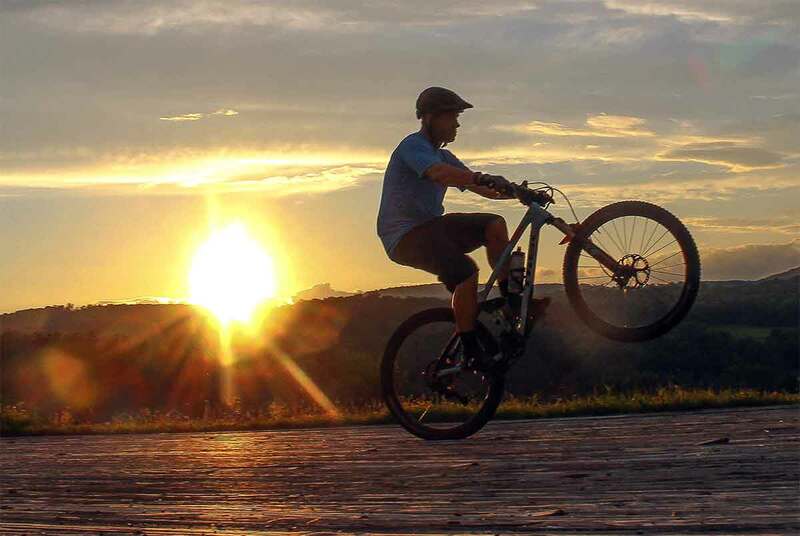 A part of GearJunkie’s Mobile Office series, this story highlights Mount Ascutney in Vermont and its rebirth in recent years as a destination for mountain biking. This summer, as a part of Gear Junkie’s ‘Mobile Office’ project, we spent weeks out East, including exploring Vermont’s Green Mountains. Searching for mountain bike venues, locals directed us to Ascutney Trails, a 30-mile system in West Windsor, Vermont. 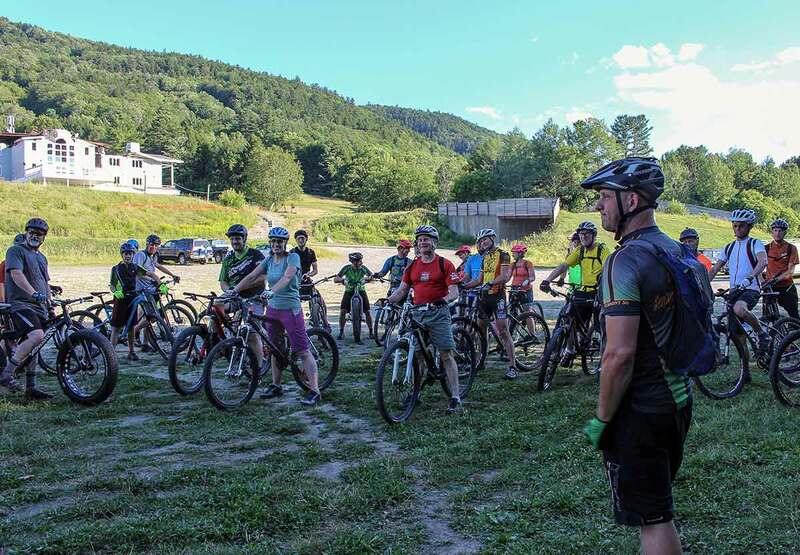 To see the area first-hand, we joined a ride with Sports Trails of the Ascutney Basin, or STAB. We were lucky to hear of these trails — two years ago the area was on the brink of being destroyed by a logging operation. The town of West Windsor saved its mountain from being developed. How? They bought the mountain for one million dollars to keep it preserved. Mount Ascutney’s ski resort was the sole economic driver and the community’s gathering place for decades. But in 2010 the resort went bankrupt and closed. Four years passed, and the lifts and runs sat empty without a buyer. Bed & breakfasts shut down, restaurants were boarded up, and property values tanked. The reality of the mountain’s future hit home the day the ski lifts were dismantled and shipped out of town. It seemed like the end of Mount Ascutney. The land was going to be sold to a logging company. The city rallied and came up with a plan to save their mountain. Town conservationists, partnering with the Trust for Public Land, led an intensive fundraising campaign. With a town vote in October 2014, the town agreed to buy Mount Ascutney for the aforementioned one million dollars. 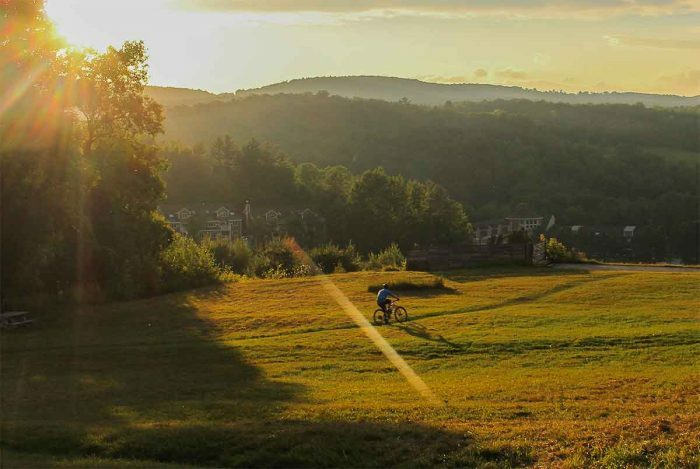 The purchase preserved 469 acres, holding 30 miles of mountain biking trails and several ski runs. These acres were added to the town’s public forest, thus totaling 1,500 acres. “We’re conserving 1,500 acres forever for the generations now and to come,” said Jim Lyall, a co-founder with STAB. 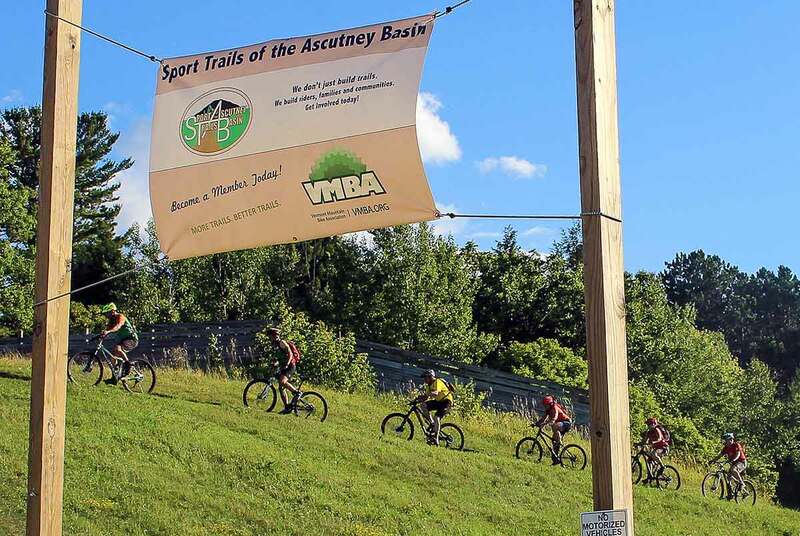 To manage the conservation of the land, a group called Ascutney Outdoors was established. STAB continues to manage the trails. Bell said local businesses are noting gains. “We’re seeing direct benefits to the larger community,” Bell said. Beyond biking, the town recently celebrated erecting a tow-rope for guests to use for free in winter. Skiing, and the community, are back on the mountain again. –This article is sponsored by EnerPlex. See the company’s line of solar and power products here. 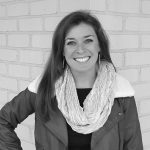 –Lindsey Nubern is a GearJunkie contributor and freelance writer currently exploring the USA by campervan with her husband Adam. Follow their journey at Nuventuretravels.com.